Hunters York Estate Agents & Lettings Agents have grown to be one of the largest and most trusted Estate Agents in York. The average house price in York is around £190, 000, typically you can buy a nice 2/3 bed property in the City Centre for this figure or a nice 3-bed semi. Properties in the city range from lovely apartments and Victorian townhouses close to the medieval streets in the centre, to lovely suburban, tree-lined avenues only a mile or so from the centre. There are many larger homes in the area and it is not uncommon for estate agents in the city to be handling properties in excess of £1m. We have lots of great properties for sale in York, and we know that there is high demand from tenants, we work really hard to ensure we match tenants with fantastic properties that meet their requirements. The rental market in York is very buoyant at the moment, we work closely with the big employers in York along with the universities as they bring lots of tenants to the City, this means it’s a great time to invest in rental property there are lots of investment opportunities for landlords offering safe returns and high capital values. We believe it is important that we all work together. Allow us to introduce you to the Hunters Estate Agents York, award winning team! Hunters York Estate Agents Branch Manager, David Parker is vastly experienced. David has been in the estate agency business since 1995 and lives locally in the village of Stamford Bridge. 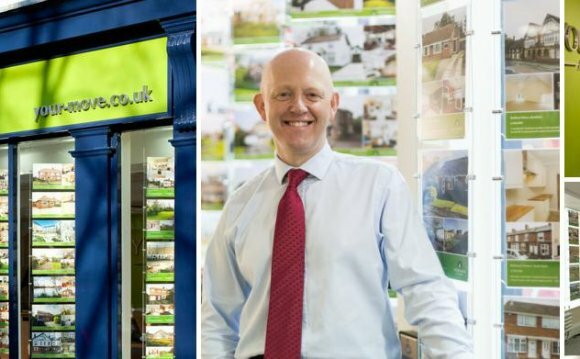 David runs the branch alongside Sales Manager, Rob Williams and Steve Gilleard our main Valuer who have both been with Hunters for over 10 years. As a branch, we are always on hand to do viewings on weekends and evenings so please do not worry about asking for a late appointment! Other members of the Hunters York Estate Agents team include John Romans, Sales Negotiator/Valuer, Holly Price, Negotiator, Sasha Wood, Admin/Negotiator, Abigail Phillips, Part Time Negotiator, Jennie Thorne, Weekend Negotiator, Steve Prophet who accompanies many of our viewings and Craig Elliott, our Mortgage Adviser. "I have worked for Hunters for almost 7 years now, starting as a lettings negotiator in Hunters Leeds city centre office and eventually moving on to manage the York Lettings office which I have been doing for the past three years, and thoroughly enjoying! The team here at Apollo House are fantastic, and we run a very busy and vibrant lettings department in York. We work very closely with the sales team, as we are here to cater for all our customers’ needs and ensure they received a fantastic service!"